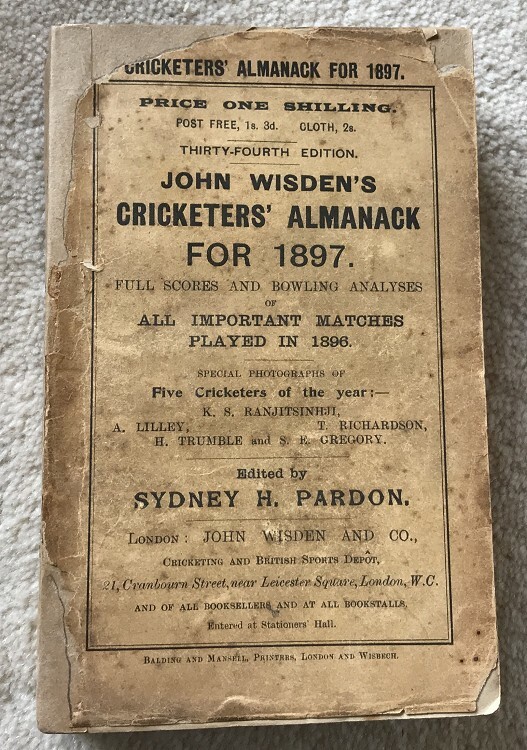 This lot is an Original 1897 Wisden Paperback with facsimile spine. This is in Good to Very Good condition. The covers have quite a lot of restoration to the top by the spine, otherwise they are nice and tall with minimal marks. A nice new spine with text has been added , it is neat and tidy but not an exact copy of an original Wisden. Internally there is some browning to the first couple of pages and around the photoplate is some foxing but decent inside with an good photoplate.